Reading Partners was recognized as a Best Practice Honoree during the 2017 Library of Congress Literacy Awards. The Library of Congress Literacy Awards Program is a project designed to broaden and stimulate public understanding about the essential role of literacy in all aspects of society. 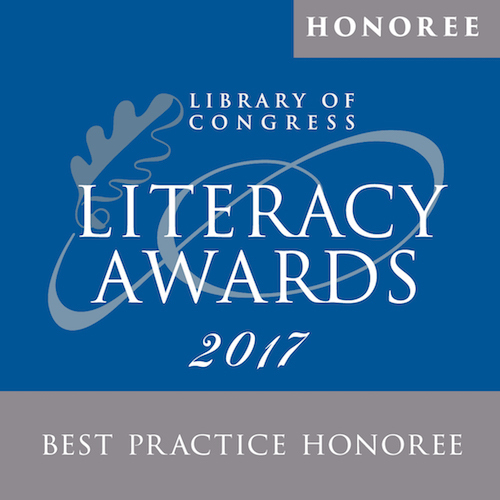 The 2017 awards program honored 15 organizations for outstanding work in the field of literacy and implementation of best practices in literacy promotion.